2019 is the year of you. Let's admit that our lives are crazy busy - from technology to social engagements to meeting the project deadline. We are becoming more isolated from each other - and we need that precious time to do what we do best - CONNECT authentically. When's the last time you opened up to new and exciting friends making great strides in their careers? Perhaps you're craving a few hours just to disconnect and reboot with a group of women who want nothing more than open, honest conversations to help you move forward in life - to work through the challenges and cause you to shift, look at things differently, and achieve your goals from a place of ease rather than constant struggle and hustle. If you're you're seeking a deeper connection with incredible women who will support you in your next steps, YOU belong with US. We invite you to join us and focus in on you and your personal goals for 2019 and beyond. Expansive, soul-enhancing coaching that allows you to discover both what you want to achieve this year and how you really want to feel in 2019. We'll get to the heart of your goals, boost your confidence and leave you ready to kick a$$ and take names! to help you stay focused on YOU. During lunch you'll have the opportunity to connect during a special round table discussion with a special expert guest to talk all about toxic workplaces and our relationship with our inner critic. Join us for a game-changing goal brainstorming session that is unlike anything you've ever done to build your professional and personal goals. You'll hold space to challenge yourself + others to dream big, and determine how you want to achieve it without the stress + heavy weight of planning and executing with only hustle. You'll walk away from the discussion with a plan and wishing you'd done this YEARS ago! Lea Berry is a soul-focused achievement coach who helps Millennials breakthrough their negative beliefs to craft a life & career that serves their purpose and helps them achieve happiness. She is an avid self-development lover, avid Cricut user, and spends her downtime dreaming up the next creative project. She shares her journey with her Husband Roger and daughter Mila. 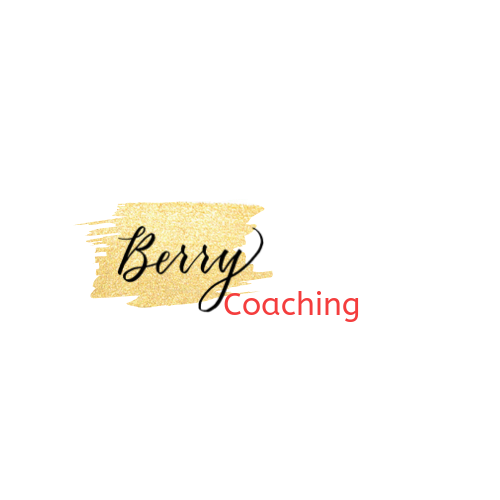 Lea Berry is a soul-focused achievement coach who helps Millennials breakthrough their negative beliefs to craft a life & career that serves their purpose and helps them achieve happiness. She is an avid self-development lover and facilitator who spends her downtime dreaming up the next creative project. She shares her life journey with her Husband Roger and daughter Mila.